Hello, I’m Adrian Chambers and I’m a specialist in creating Power of Attorneys. Have you ever considered what would happen to your home and savings if you struggled or became physically or mentally incapable of looking after your personal and financial affairs? We can provide you with a fast, friendly and cost effective legal service. Please call us for a free no obligation chat about matters on 01536 276300 or 01536 311690 or contact us online. A Statutory Will is a Will for people who do not have the capacity to make one in the usual way. This could be due to a disability following an accident or because a person is learning disabled. 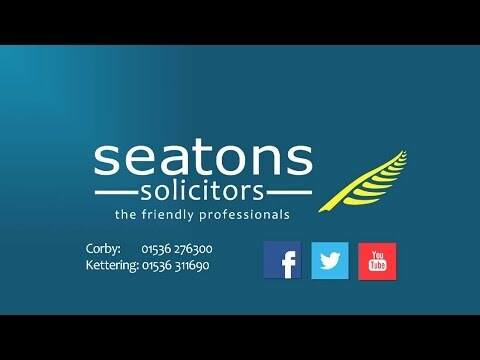 Usually, for a Will to be valid, a person must have testamentary capacity which requires an understanding of a number of issues including what is being left in a Will and considering who should benefit under the Will. A statutory will requires an application to the Court of Protection as the will is being made on behalf of a person lacking capacity. The issues that will be considered include the wishes of the individual lacking capacity and the views of family and friends. You don’t need to be an attorney or deputy to apply to the Court of Protection to get an agreement on a new statutory will. It is easier if you are an attorney or deputy. Once the application has been made to the Court, the Judge will appoint an Official Solicitor to check through the application with an independent perspective and make any representations to the Court thought necessary in order for the will to be fair to everybody involved. The Court makes the final decision as to what the will should say and what its provisions for inheritance should be and all parties have to abide by that decision.